My last post of my Holiday Gift Guide list - the best comics of the year! Just as a reminder, I'm looking specifically at items that would make great gifts and are made by Canadians (or produced by Canadian companies). Why this focus? Because I'm a Canuck and frankly some of the best comics being produced in the world right now are by Canadians, so why not shine a light on them? Comics, the backbone of the industry, and for indies in particular, the format that used to be the most dynamic and interesting. It it wasn't for the triumvirate of Love and Rockets, Neat Stuff and Eightball in the 1980's, I can honestly say that I would have stopped reading comics. Together they opened up a fantastic new world of possibilities for the medium I had fallen in love with (but whose interest in was waning). Today, the comic (or "pamphlet" - a condescending term I hate) is a dying format, with graphic novels becoming the main format that independent publishers and cartoonists are using instead. Although I understand a lot of the reasons for this (mainly financial), it's a sad state of affairs. Even Palookaville has gone to the fancy HC book format now. Not only does this means that readers have to wait a hell of a lot longer to read something by their favourite creators, but I think it's a detriment to the cartoonists as well, as they don't get any feedback on their work until it is complete and this can take years. It's very hard to work on a project for years at a time in a vacuum - it's hard to keep your motivation up. All this to say, there are a handful of honest to goodness indie comics being produced, and the following three are real standouts. You've seen this book about on a lot of top 10 lists, and there's a reason why - everything they say about this comic is true. It's completely mind-blowing. 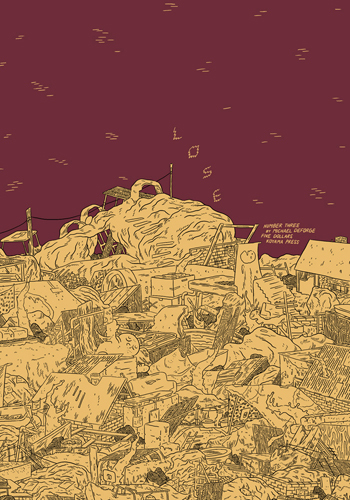 Artistically and stylistically it will blow your mind (which I have to say - I'm getting used to with DeForge - he's just so good, and he's getting better all he time), but it's also terrific writing. It's this strong storytelling that took me aback in particular. The main story is called "Dog 2070", and like many of DeForge's stories, it takes place in what looks like a dystopian future - oh and and the main characters are dogs who can fly. The main character Stephen, has separated from his wife, has a boring office job, doesn't have a lot of friends, and has problems relating to his kids. 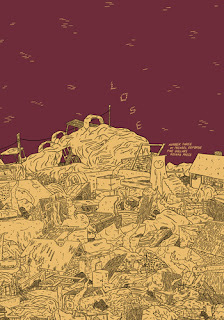 DeForge has a real knack for dialogue, and the scenes are very insightful and smart. It's been said in a lot of articles - but yes, DeForge is only 24, and I kept thinking - how does he know what it's like to be middle-aged and unhappy with your lot in life, family-wise, work-wise? I certainly could not have written this at his age. This book actually made me think a lot about the juxtaposition of text and artwork in comics. So many of the text panels are just really smart and well-written and could come from a traditional indie comic, movie or play - yet he contrasts the text with graphics that are seemingly at first, far removed from the content. It's actually made me think my own work to try to come up with images that are a little bit more original than what you'd expect, as the contrast is a really effective way to get at a third layer of messaging and theme. I really enjoyed Pope Hats #1, and Ethan Rilly for me seemed to come out of nowhere with it. I know since then, he took some time to work on a full-length graphic novel, but apparently it didn't work out the way he wanted it to - so he went back to Pope Hats. I think all of that time spent cartooning was not for naught, as Pope Hats #2 seems head and shoulders stronger than the debut. It's a lovely multiple short-story anthology format in the vein of Neat Stuff of Eightball, with one artist trying out different stories, techniques and characters. 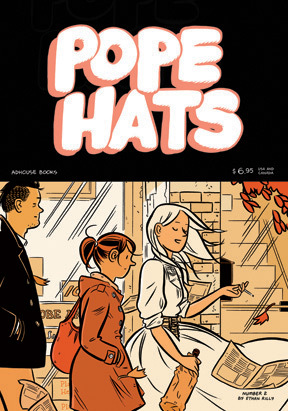 The main story "White Noise Machine" follows Frances (the same character introduced in Pope Hats #1), but also includes a few other shorter stories. I particularly liked "Laughter with Young Frances". It's just a one-pager, but kid strips are really hard to do well. The only thing missing from this comic? A letters page! Buy this book! Rilly is a huge young talent. 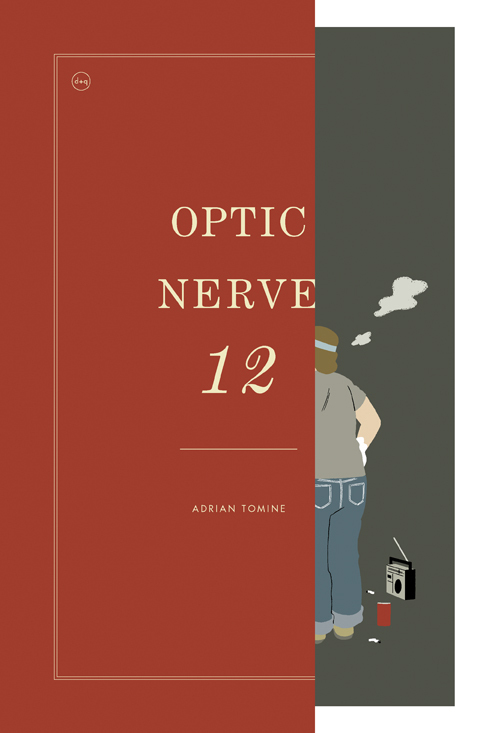 I've been a big fan of Tomine and Optic Nerve ever since the days when he put the comic out himself as a mini-comic. And although Tomine is not Canadian, Drawn & Quarterly is - so I'm counting this in my list OK? Still, this issue really knocked me out. I think it's the first time that I've seen Tomine write a story that is not from the point of view of a young person. His characters seem to reflect the age group that he is currently a part of. Now there's nothing wrong with that, he's excellent at it and you should write what you know, but the main story in this book is a nice change of pace from the norm. Also, Tomine's artwork tends to be really tight - and these stories are much looser than his regular style. To me it shows a new confidence, and the outcome is really fresh. "A Brief History of the Art Form Known as Hortisculpture" shows a middle-aged white guy who specializes in lawn maintenance going through a mid-life crisis by ignoring his family (a lovely, patient wife and has a loving cute kid), and focusing instead for years on weird plant art. One of the things I liked about the story is that you can't really tell is the art is any good or not (since the art is 3D sculptures featuring live plants growing out of it and this is hard to capture in 2D comic form). When I first looked at the drawings of them I thought - that's brilliant. Then I thought - oh, but it could be really bad too. His wife thinks his work is brilliant, but no one else appreciates it. Again, it could be great or terrible - who knows? He could be a Van Gogh, or he could be a hack. No matter what, he probably should appreciate what he has though. Also - a letters page! Yay! For me, reading comics growing up, I ALWAYS read the letters pages. They are mostly gone from comics now with a few exceptions (like Criminal and Powers), but I love it when an artist shows correspondence they've received and answer their mail in the letters pages (why not hand-letter it though Tomine? - that would make it perfect). Thank you for not waiting to collect these in a hardcover Mr.Tomine!